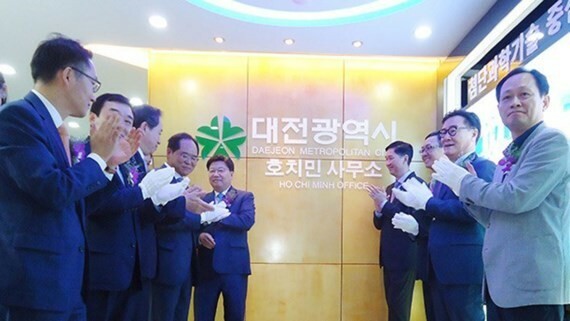 Representative office of Korea's Daejeon city was inaugurated in Ho Chi Minh City yesterday. The inauguration will open more cooperative chances as well as boost further the friendly relationship between the two cities. The Ho Chi Minh City People’s Committee Chairman Nguyen Thanh Phong yesterday welcomed Mayor of the Republic of Korea’s Daejeon city Kwon Sun Taik. At the reception, two sides expressed their pleasure at an active development of the friendly cooperative relations between Vietnam and Korea in general and between Ho Chi Minh City and localities of Korea in particular. Chairman Phong highly appreciated active role of Korean enterprises as well as community in Vietnam, contributing to strengthen cooperation relationship of the two nations. 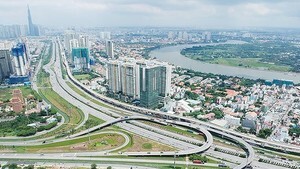 With a science & technology strong point as Daejeon city, chairman Phong believed that the two cities will have more cooperative projects in the upcoming time.